All of our partners in Australia, and around the world, supply and support a large range of dedicated document scanners. By purchasing a Spielberg solution you will be supplied both hardware and software by one supplier, giving you peace of mind that you have just one point of contact to assist you with your system. 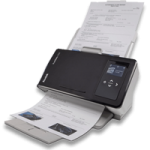 At Spielberg Solutions Australia we work closely with our scanner suppliers, when you buy File Director or Scanfile from Spielberg Solutions Australia we will include devices from Canon, Kodak, Panasonic or Samsung. Spielberg Solutions are authorised Kodak Resellers offering a range of Kodak Alaris Scanners from desktop to high-volume production units. 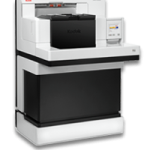 Kodak Alaris offers the broadest array of document imaging products, services and solutions available. From innovative scanners to powerfully intuitive software and world-renowned service, Kodak Alaris deliver exceptional quality, productivity and responsiveness to meet your needs and address the business demands of the digital world. Discover why Kodak Alaris should be your partner of choice for advanced-yet-easy document imaging technologies. Choose from below a scanner or software group that suits your requirements. 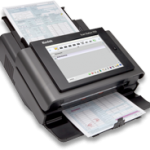 Perfect answer for desktop scanning in small offices and workgroups needing to scan up to 10,000 pages per day. Desktop productivity advances for busy departments with scanning needs of up to 20,000 pages per day.